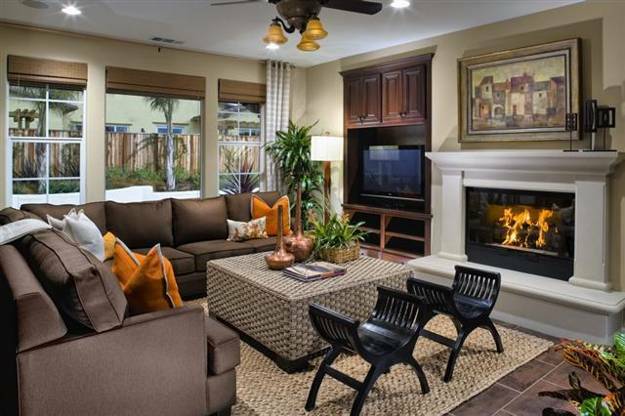 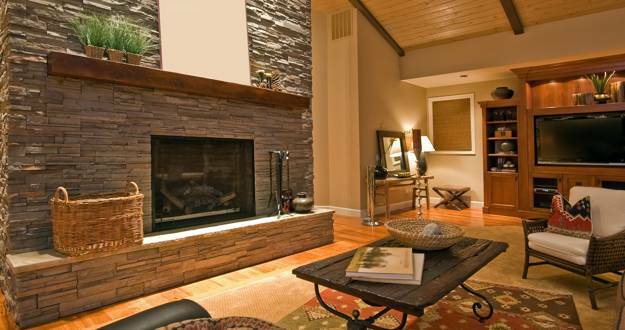 Multifunctional modern living room designs with the TV and fireplace can be a challenge. 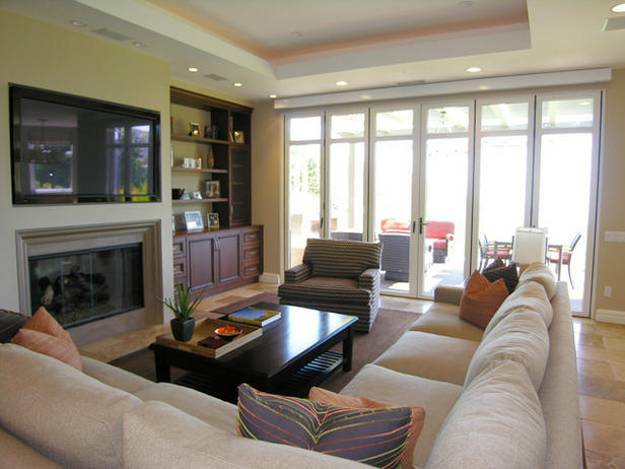 Modern living rooms start with the main functions and architectural features that define the space. 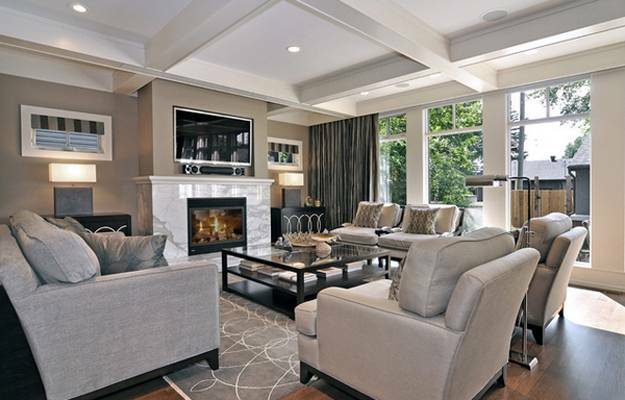 Living room designs can be created around entertainment, socializing and relaxation or offer multifunctional living space for all these activities to enjoy alone or with family and friends. 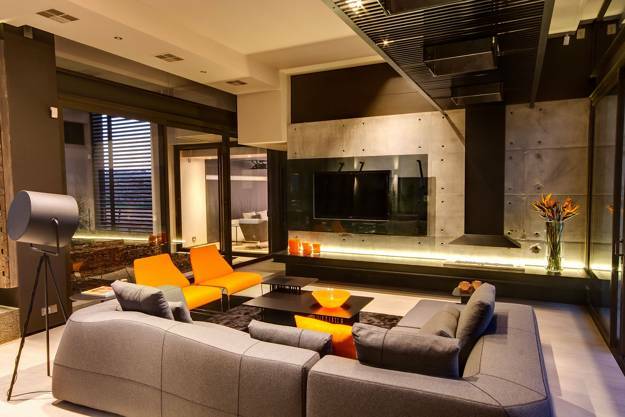 Lushome shares a wonderful collection of modern living room designs that have the TV and fireplace, and look very elegant, comfortable and attractive. 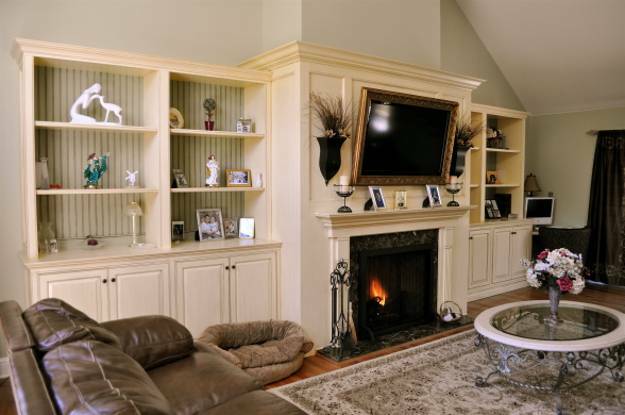 Space saving and smart interior design ideas that emphasize the beautiful architectural features are perfect for all social interactions while provide pleasant rooms for relaxing activities. 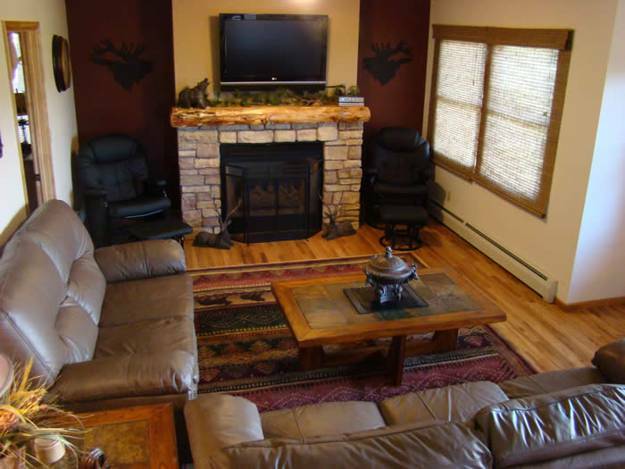 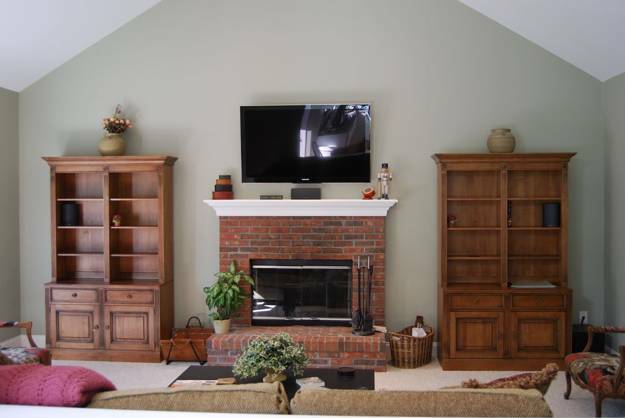 It is possible to turn a living room into a place that all family members and friends enjoy. 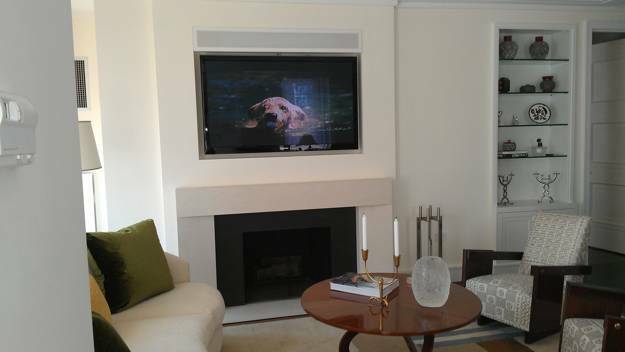 Hiding the TV is not necessary in modern living rooms that often look like family rooms or media rooms. 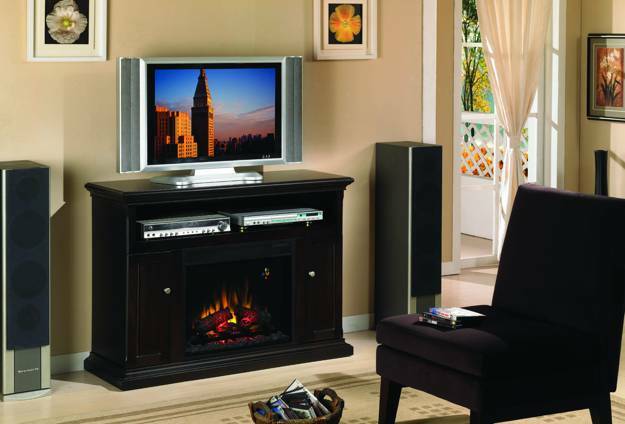 You can add living room furniture that hides the TV, but these furniture pieces can be expensive. 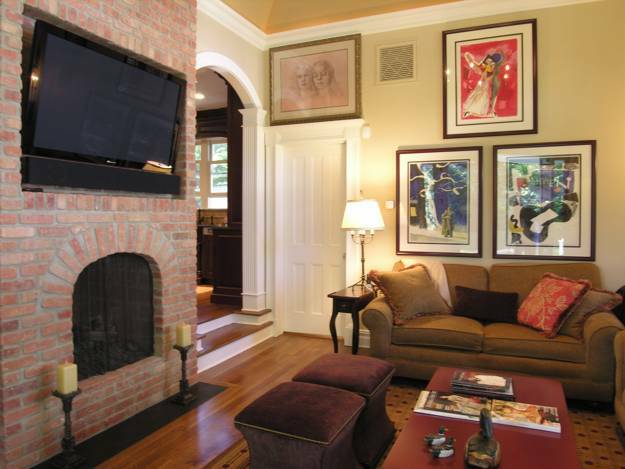 A television is often a challenging element of any modern living room designs, especially if you need such furniture placement that allow to watch the TV and a fireplace simultaneously. 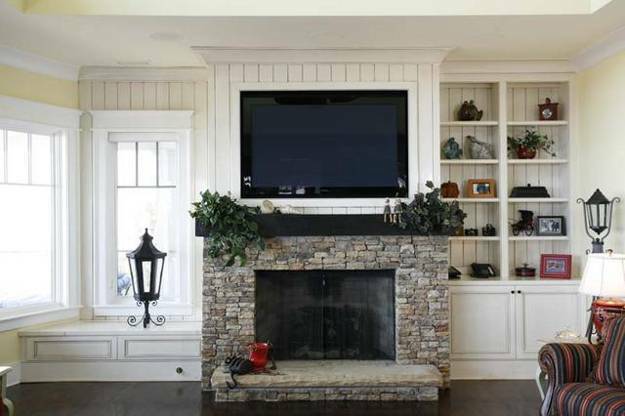 When it comes to finding the right place to put your television and find the most comfortable living room furniture around your fireplace, many people think of mounting the TV on the fireplace wall or adding built-in furniture to both sides of the fireplace. 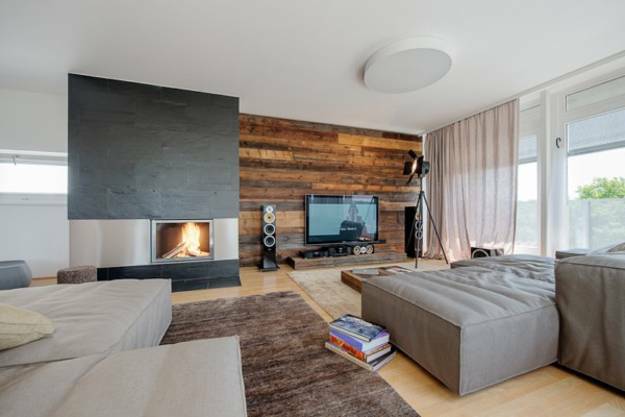 There are other things that you can do as well to create wonderful combinations with the TV and fireplace, which improve modern living room designs and create a beautiful, comfortable and elegant multifunctional interior. 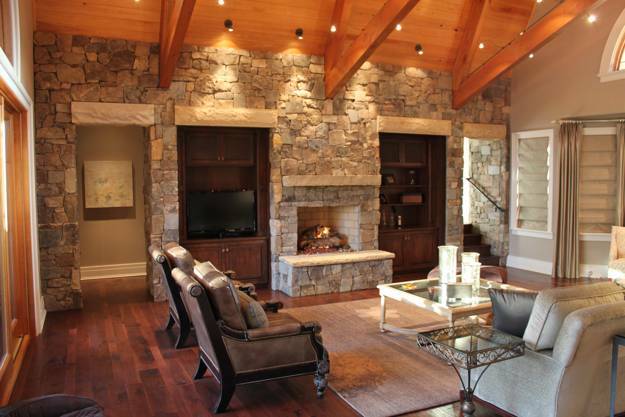 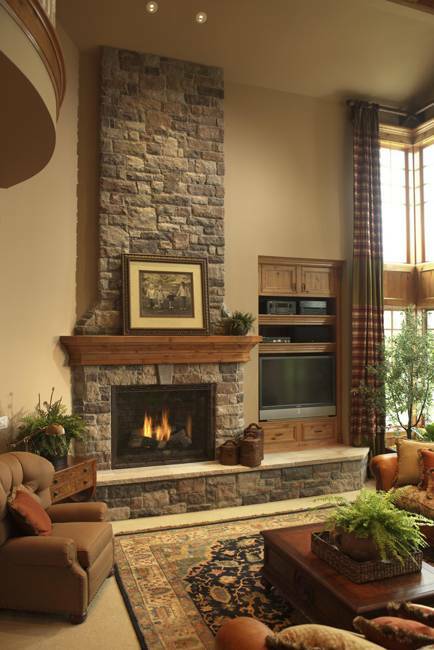 Some large stone fireplaces are included in house exterior and interior design. 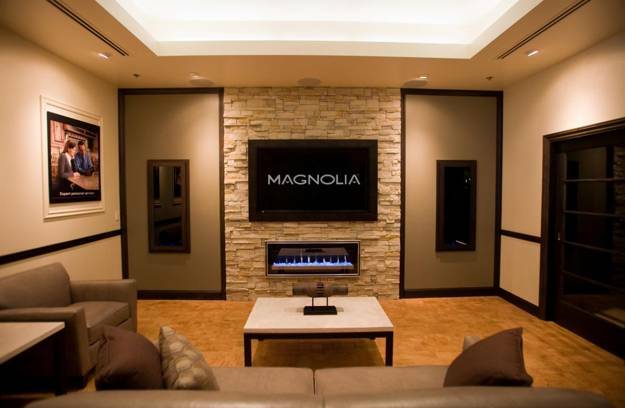 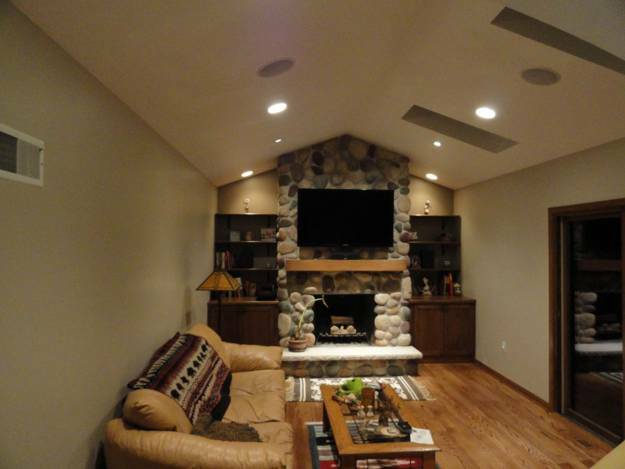 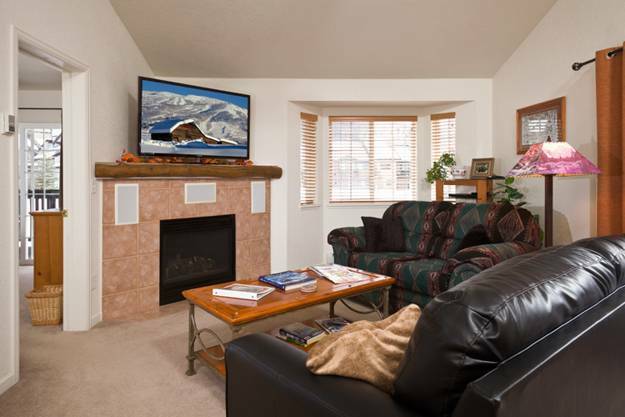 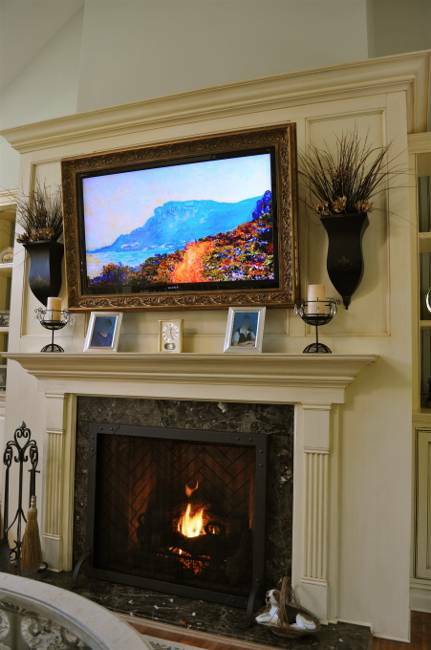 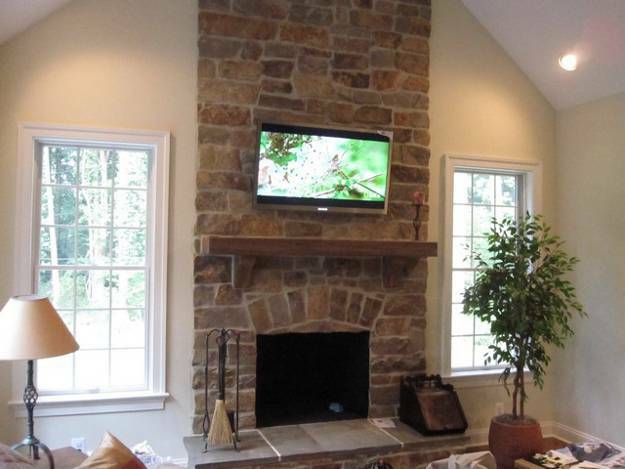 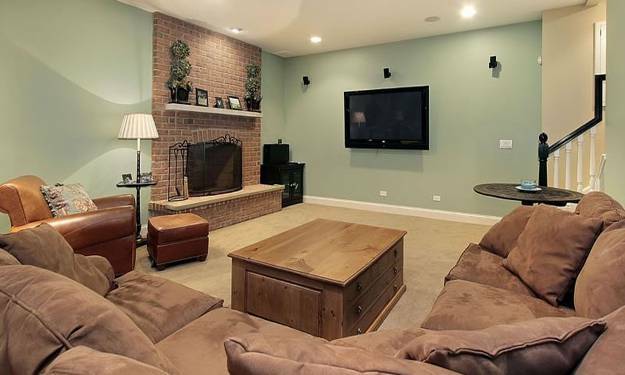 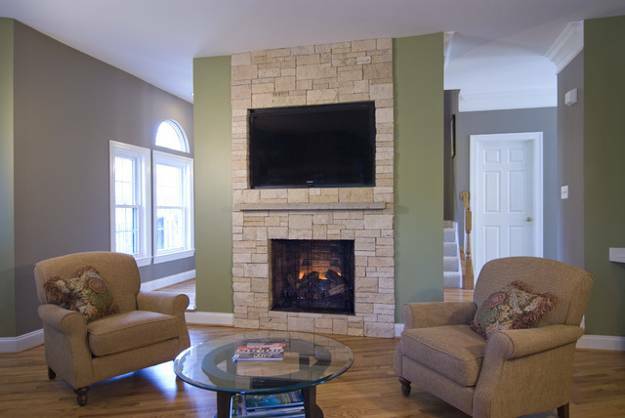 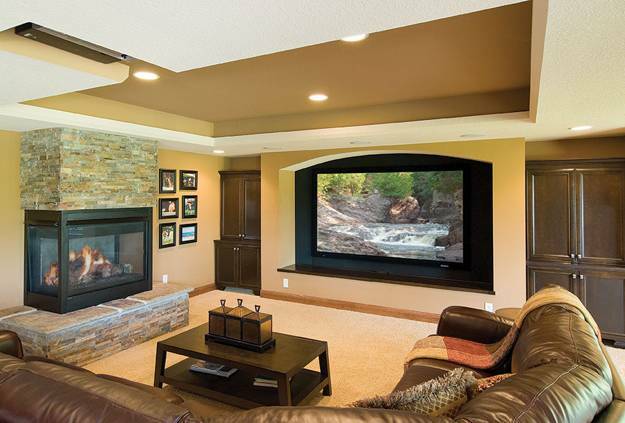 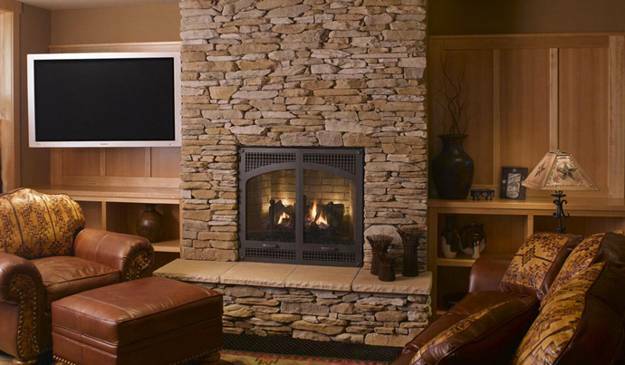 You can use the fireplace wall or adjacent to it wall for hanging your television. 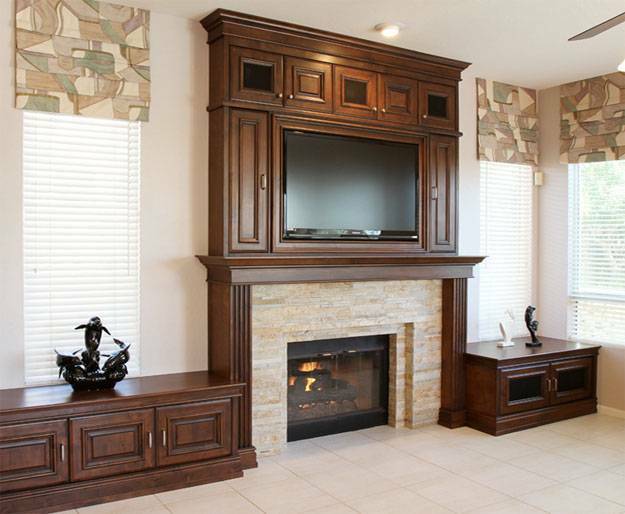 You can add the TV to built-in shelves or bring a cabinet for your television, creating the perfect living room design for your home which is multifunctional and very comfortable. 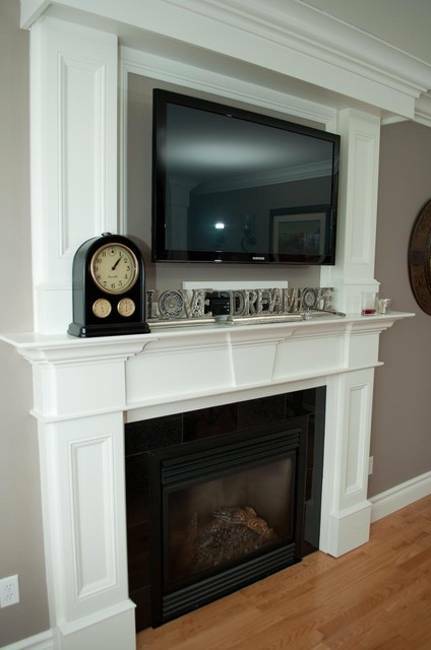 Fantastic looking mantels and glowing fireplaces create a warm and cozy atmosphere in living rooms, ideal for watching your favorite movies with your kids, partner, other family members or friends. 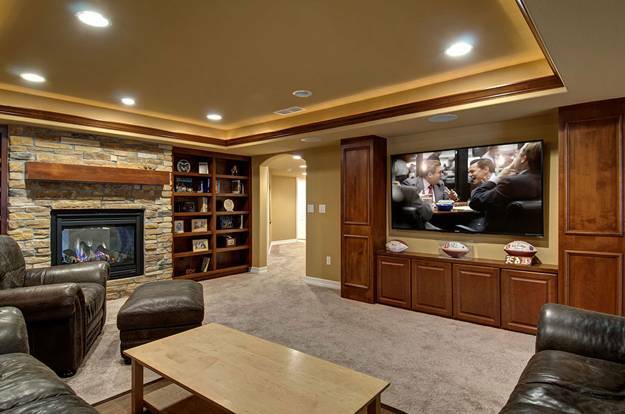 Turning living rooms into multifunctional with the TV is one of great interior design trends for small homes or houses that do not have a finished basement.